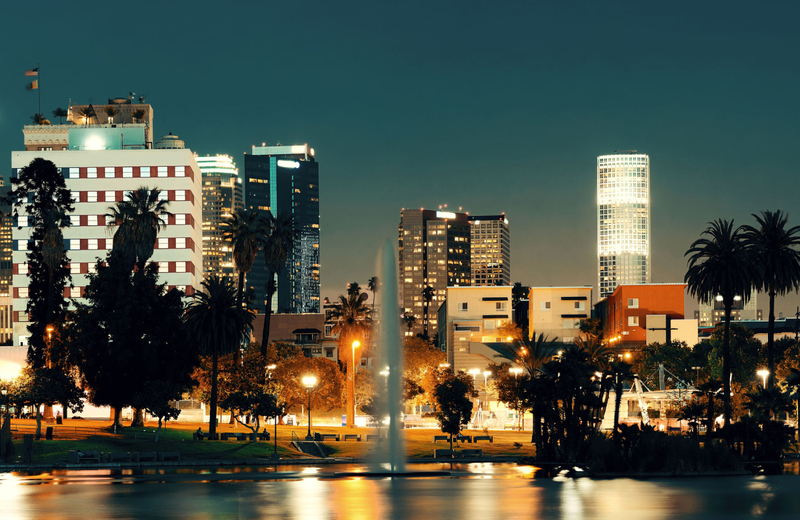 If there's one thing Downtown Los Angeles is known for, it's happening nightlife. There was no shortage of unique bars in the olden days, and now that Downtown is on the upswing the selection just continues to grow and diversify. There are old-school favorites, theme bars, beer specialists and more, no surprise there. What might shock you, though, is that one of the best new bars in Downtown L.A. is an apartment near Whole Foods. We'll get to that, but first a bit of background. We mentioned that DTLA has variety, but it doesn't really become apparent until you look at all of the options. In the heart of downtown, for example, you've got one of the oldest establishments in the city: Cole's. Founded in 1908 on the ground floor of the Pacific Electric Building, the iconic location, also known as Cole's P.E. Buffet, is acclaimed for their sandwiches and cocktails. The bar still has that classic look, though it has been revamped to better reflect a modern aesthetic. Of course, this isn't the only old-time bar in the downtown area. There's also The King Eddy Saloon and the Golden Gopher, still sporting their antique appearances and historical charm. For those looking for a touch of class (and perhaps some live performances as well), The Edison stands out as a primary option. Once a power plant, it now serves as an entertainment enclave to rival any other. In addition to the live music and burlesque shows, there's a stunning main bar area, along with several rooms for hosting private parties. You can find a less formal atmosphere at Resident, the "industrial-chic" spot near the L.A. River. They keep their musical lineup stacked with performers from various genres, so visitors are never at a loss for amazing live acts. If you're in the mood for something more genre-specific, though, you might check out Perch. The rooftop spot features more than its fair share of jazz acts, along with well-made drinks and a stunning view of Pershing Square and DTLA. And what of themed bars? No shortages here. A trip to the Library Bar is certainly in order. They've perfected the library look, with an intimate setting, complete with book-adorned walls and leather seating. For a unique vintage look, Villains Tavern provides what might be the ideal location. An artsy spot with a sizable patio area, the bar serves a number of "artisanal" drinks along with an array of finely prepared bar food. With live music lineup that features prominent blues, rock, and jazz acts, it's easy to see why this bar has been such a hot spot. If you fancy something more rough-and-tumble, though, Casey's Irish Pub is a huge location with several game rooms and a raucous atmosphere that sets it apart from most other offerings in the downtown area. As you can see, you'll not want for options in DTLA, but there's one with a unique and inimitable flair, the Sky Lounge above the Eighth & Grand Apartments. It provides an awesome view of the city and a place for residents to live it up without having to travel too far from their comfort zone. It's almost a reason (in and of itself) to give the Eighth & Grand Apartments a look. Hard to imagine, but yes. The Eighth & Grand has the amazing lounge on the top and is simultaneously situated on top the Whole Foods. When it comes to having[almost everything residents need in one convenient location, this apartment complex is doing it right. In addition to the aforementioned offerings, there's a lobby cafe, fitness center, rooftop pool, clubhouse, Zen garden, theater, and even a pet spa. This is on top of the concierge service, top of the line WiFi and tech support, and underground parking. The building itself is a beauty. Reflecting the best of modern architectural design, the structure is contemporary and welcoming. Plenty of rectangles figure into the look, something that enhances that futuristic appearance and makes it clear that this is a complex that's on the cutting edge. Of course, all the amenities in the world can't make up for subpar floorplans, but that's not an issue here. The Eighth & Grand has a broad selection of one, two, and even three-bedroom units. Each come with ample living spaces with hardwood floors, beautiful bathrooms with lovely quartz countertops and polished fixtures, and modern kitchen spaces that feature fine Italian cabinetry and stainless steel appliances. No wonder they call this place a "home that's hard to leave." The downtown revolution is in full swing, and apartment complexes like Eighth & Grand are right there at the front of the movement. By combining convenience and luxury in one location, they've created a living space that offers residents everything they need, while still giving them ample access to explore the city when they want to journey out. To top it off, it's located in a great spot that puts spots of interest well within reach. We hope you'll check it out yourself, and consider making DTLA your new home.